Dwelling. Home. Heart. Kitchen. Wardrobe. Inspiration. Solution. Conceptualised. Dwelling Concept stems and differs from conservative concepts of kitchen and wardrobe construction complimented by our primary focus on brands that revolve around design and quality, together with carefully sourced premium materials from Europe with detailed workmanship. For every project there is a starting point and an end point. For every story there is a beginning and there is an end. For every problem there is a solution. It can take some time to arrive at the destination. There will be obstacles to overcome on the way. It will take some thinking, dwelling and creative problem solving to arrive at a moment of inspiration. A moment of inspiration happens in an instant! 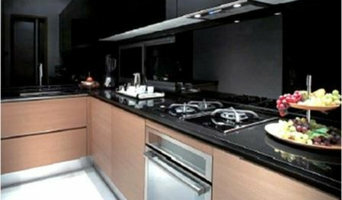 Our aim is to fulfill our customers with beautiful customize kitchen top in their homes. With a dedicated team, we offer high-quality kitchen top made from granite, marbles, quartz and solid surface. We strive to archive attributes with respect to functionality, durability, and aesthetics to all kitchen top fabricated and installed by our factory. Yes now you can afford the luxury, style and class of natural or manmade kitchen top without squandering hundreds of hard earned savings! With our unique direct factory to customer supply chain, the retail consumer can save hundereds or dollars. What are you waiting for? If we have a color that matches your decor, then there is no other choice. Our kitchen top will make your next remodel or new build complete. Kitchen Livin is your one-stop manufacturer for your home products from Kitchen to Wardrobes, Vanity and even Feature Wall or anything you can think of it. Known as an innovative leader in the design of sink units, REGINOX, having won total red dot design awards in 2013,2015 & 2016. Reginox is an international brand that develops, manufactures and retails sink units for an global client base. Meanwhile, the Reginox brand has been in Singapore for more than 25 years. The Reginox Far East office was incorporated in 2003 as a regional sales office for Reginox BV Holland. The Far East branch oversees the sales and distribution networks of more than 10 countries in the region. Since its inception, Reginox Far East had supplied its products to more than 100 projects in the region. As Netherland’s largest producer of stainless steel sinks, the international brand has consistently introduced innovative designs and solutions for the kitchen sink. One of the company’s strengths is its deep drawing technology that allowed Reginox to become one of the first companies to develop the non-welded sink from a single sheet of stainless steel. This remarkable technology has allowed Reginox to become a premium brand with multiple awards to its name. The Reginox brand continues to grow and expand to meet all sorts of discerning tastes. Currently, the company offers a huge range of products, including sink units, washbasins, taps for both the bathroom and kitchen, worktops and kitchen accessories. With its wide range of products, there’s no wonder that the company is able to respond to current trends and even set new ones. We generally garner positive responses from Asian markets as our products cater to both Western and Asian markets. Furthermore, we cater to a niche, high-end clientele. Kitchen SpecialistHeirlooms began as an architectural setup, providing consultancy services to home owners and developers alike. Progressively, our expertise in coupling good working designs both structurally and interior wise proved to be a winning formula for many of our projects. Heirlooms were awarded many accolades and distinction for design, quality and function as such. The evolution from the typical architectural designer to a specialist in the field of interior meant we can focus on sourcing and designing the perfect interior space for our customers. This is done with a good understanding on architectural and structural functions. As the company evolve and grow. We recognized the growth in the affiliated lifestyle industry within Singapore and in the regions. Naturally, we build upon our existing structure and knowledge in these areas. And since 2014, Heirlooms has also added a gourmet wine and food business and also a music business which received internationally acclamation to our expanding arrays of products and services. Nowadays, Heirlooms is recognized as a truly comprehensive business group, with expertise in providing even the most discerning of clientele with the finest and most desired products and offerings. 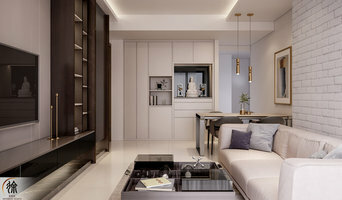 Roberto Design Ptd Ltd is an Italian kitchen specialist handling distributorship of Valcucine kitchens, www.valcucine.it, in major parts of South East Asia; mainly Cambodia, Indonesia, Malaysia and Singapore. Lookz started out as a humble establishment in 2002, supplying bathroom and kitchen accessories to designers and homeowners. Over these four years, we have steadily expanded our business and now occupy a two-storey showroom at Balestier that boasts of a myriad of products for the discerning customer. 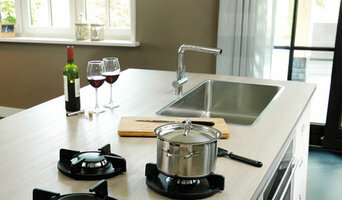 From bathroom fitting like basins, WCs, showerheads and even bathrooms racks to accessories for the kitchen such as cooker hobs and dish racks, we are a convenient one-stop centre for all your kitchen and bathroom needs. Back in 1934, Piero Boffi founded his company and a lot has changed since then: social convention, living models and aesthetic sense. In these 80 years Boffi has followed this evolution adding its own personal interpretation of the transformation of taste and technologies. This has led Boffi to establish itself as a worldwide synonym for innovation and design. Why Inglewood ? An Inglewood kitchen is more than just for cooking, it’s the heart of a home. Incorporating design with the concept of wholeness and holistic approach, your dream kitchen is not just a place for cooking but a place where family can commune and share their lives. We provide A to Z planning and consultation. You can trust us to recommend what’s necessary for your needs (We won’t build for you what we won’t build for our friends). At the end of the project, you can expect to receive a kitchen that lasts and lasts…not only that, you will have a space you can call the heart of your home, where experiences are shared, where family communes and shares their lives. This is Inglewood. Welcome to the start of your experience. bulthaup is renowned worldwide for its architecture of living spaces. Architecture, innovation and precision are characteristic of the brand. It offers our customers a comprehensive promise of quality, the security of seamless design solutions and confidence on all of the world's markets. bulthaup delivers a service that is truly unmistakable: the design of living spaces that are planned holistically, based on the architecture of the room and the individual needs of the customer. Our new innovations give us an edge over our competitors. For us, precision means superlative expertise and quality as well as technical perfection. To create well-designed and highly functional kitchens that is perfectly suited to the lifestyle of modern, cosmopolitan living. Established since 1991, our flagship stores along Leng Kee Road and at Bangsaria, Kuala Lumpur offer close to 20 renowned brands of kitchen systems, appliances and accessories to make shopping and planning for a kitchen more pleasurable. At kitchen culture, we have an in-house design team that takes into consideration each individual psyche, taste and preference to customize space and product solutions to suit your style and needs. This partnership of design, products and consumer psychographics adds an entirely new dimension to the kitchen package. J-Asia is equipped with a team of expertise in the designing, installation and customisation of spa pool systems, outdoor hot tubs, and modular steam sauna and steam rooms. Our well-trained technical team of professional technicians will provide excellent on time services and efficiency. J-Asia believes in strong after sales service to ensure our valued customers a fulfilling experience with us. Founded in 2006,J-Asia (Singapore) Pte Ltd is a specialist in Home and Commercial Wellness living products. J-Asia provides quality Sauna, Steam Bath, Hot Tubs, Spas, Bathroom products and Kitchen fixtures from a variety of international renowned brands. Our clients include private homes, commercial hotels, clubs and cruise ships in both local and international markets. Exclusively representing leading Italian kitchen brand Valcucine, Hugo Kitchen shares the design ideologies of the Italian marquee – that design and innovation should not come at the expense of the environment. 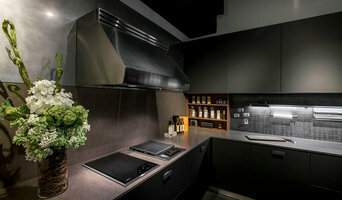 A firm advocate of preserving the environment, Hugo Kitchen’s kitchen solutions are eco-friendly, recyclable, free from toxic emission and easy on energy consumption, making us a unique reference point in the premium kitchen furnishings industry. What does a Singapore kitchen and bathroom renovator do? Before you talk to a Singapore professional, consider how you will use the room. For your bathroom design, is it necessary to have a bathtub for bathing kids, or would a shower suffice? Perhaps all you need is a half bath for downstairs or a smaller guest bath for occasional use. Similarly, for a kitchen renovation, consider your cooking habits. Do you eat out every night but need a space to entertain in? If so, a smaller kitchen might be fine for you, with a space devoted to wine storage or a bar, whereas others might prefer a bigger stove or extra kitchen cabinets. When interviewing kitchen and bathroom renovators in Singapore, make sure to share these habits so they can best fit the room to suit your needs. 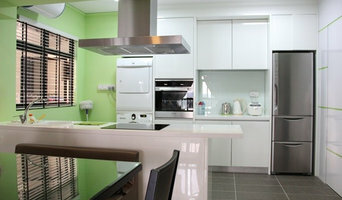 Find a kitchen design and bathroom design professional in Singapore on Houzz. Narrow your search in the Professionals section of the website to Singapore kitchen and bathroom renovators. You can also look through Photos to find a kitchen or bathroom you like, then contact the professional who renovated it.